Unfortunately for EarthBound fans, there won't be another game in the series. According to these Japanese archives, a fan recently asked creator Shigesato Itoi to consider making Mother 4 (the Japanese title of EarthBound). Itoi's response was a very simple, "Impossible." So, alas, it looks like we won't be seeing another instalment in this charming yet tragic RPG series. Why not? Who knows - but the fact that Mother 3 spent a legendary amount of time in development hell, with work beginning in 1994 for the SNES and being released over a decade later on the Game Boy Advance may have something to do with it. Maybe Itoi-san doesn't want to spend that long developing a game again. Or perhaps he's just decided that it's time to move on with his creative life and do something else. Turn your brain off and let Far Cry 3's standalone expansion Blood Dragon bathe you in neon and take you away to a decade long past. Are you thinking about it? No, wrong! What did we say? Brain = off. We called Blood Dragon a "hilarious, accessible dollop of nostalgia, coated in the mechanics that made Far Cry 3 great" in our review. Eurogamer (90/100): "I still don't really know what Blood Dragon is, or how it relates to Far Cry 3, but more to the point: I don't care. If only more blockbusters had this much fun with their legacy." Game Informer (85/100): "Far Cry 3: Blood Dragon has the potential to alienate people with its crass sense of humor and repetitive one-liners. But if you long for an era when smart-mouthed badasses were more concerned with making things go boom than catering to social sensitivities, Rex Power Colt is your man, and Blood Dragon is your game." GameSpot (85/100): "You don't have to love the decade of Rubik's Cubes and Pac-Man Fever to get a kick out of Blood Dragon. But if you do, then all the better: this action-packed shooter will strike all the right synth-pop power chords." Edge (70/100): "This isn't Far Cry 3 at its best mechanically, but it's definitely the game at its most charismatic. Because as a bunch of well-worn VHS tapes at Ubisoft Montreal undoubtedly prove, the '80s knew how to do personality." 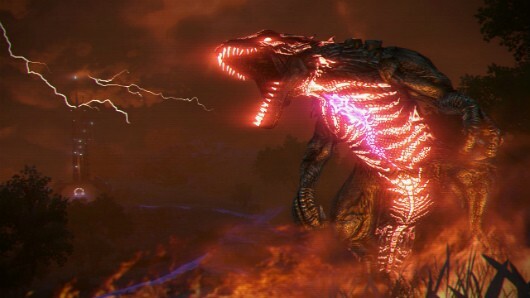 Destructoid (70/100): "I'd rather have Blood Dragon exist as it does than not exist at all. A game this delightfully stupid can only make the world a better place, and I sincerely hope this isn't the last we see of Rex Colt." Metareview: Far Cry 3: Blood Dragon originally appeared on Joystiq on Tue, 30 Apr 2013 17:45:00 EST. Please see our terms for use of feeds. Retro Studios are responsible for some of the most phenomenal games of the last decade, developing both the Metroid Prime trilogy for the GameCube and the Wii and 2010's Donkey Kong Country Returns. Although Nintendo's Monster Games is hard at work porting Donkey Kong Country Returns to the 3DS, Retro Studios has been laying low lately. But according to Nintendo, we should be hearing about Retro's new title soon. Speaking with the Official Nintendo Magazine, Nintendo's Hiro Yamada stated that he hopes to introduce Retro Studios' next game "in the not so distant future." When that could be is anyone's guess, but with Nintendo's recent decision to not hold a large-scale press conference at this year's E3, hopefully we'll see this announcement through a Nintendo Direct before or around that time. If that's not enough Retro fix for you, earlier this month it was announced that Armature Studios, the development team formed by the founding members of Retro, are currently working on Batman: Arkham Origins Blackgate, a "Metroidvania" Batman spin-off set to release for the 3DS and PS Vita later this fall. Every new sunrise is just another day less we have to wait for the launch of the next Grand Theft Auto game. Unless you've been trying as hard as possible to avoid any news on the game (and then why the heck are you even reading this?) you would know that GTA V will have three protagonists for you to play as. So it is fitting that three new trailers were released simultaneously, each letting you delve a bit deeper into the motivations of the trio of new characters. Michael has been living a bit too spoiled and wants to get back into the game for some excitement. 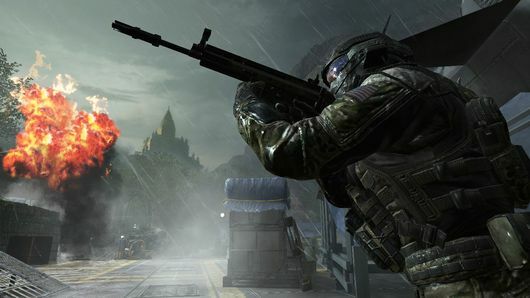 A new update has gone out for the PS3 and Xbox 360 versions of Call of Duty: Black Ops 2, adding a new Bonus Playlist game mode, a Connection Quality survey "to assess online gameplay connection quality," and a list of multiplayer tweaks. The new mode, Arms Race Team Deathmatch, gives players 150 score per kill, leading to quick Scorestreaks. It's available for a "limited time." The multiplayer tweaks are mostly bug fix type changes - "Fixed an issue reported by the community where players could get infinite ammo for the Death Machine and War Machine" and the like. You can find a full list of tweaks on both PS3 and Xbox after the break. Black Ops 2 updated with Arms Race Team Deathmatch and multiplayer fixes originally appeared on Joystiq on Tue, 30 Apr 2013 13:30:00 EST. Please see our terms for use of feeds. The year is 20xx, and the world is starved ... of imagination. An evil army of soulless game clones is hell-bent on taking over The Industry. No one is brave enough or mad enough to stop them from reshaping the gaming landscape into their drab, browny-grey vision. No one ... except one spin-off game, a retro-fueled standalone commando powered by the twin suns of Parody and Crazy. That game is Far Cry 3: Blood Dragon. And it is most excellent. Far Cry 3: Blood Dragon review: Neon Genesis Elation originally appeared on Joystiq on Tue, 30 Apr 2013 12:00:00 EST. Please see our terms for use of feeds. Packed with entertaining action and hysterical writing, Far Cry 3: Blood Dragon is an '80s-inspired blast. The latest event trailers for Grand Theft Auto 5 are available now on the Rockstar site. We say "event" because the internet stops for a good amount of time when these things get posted. 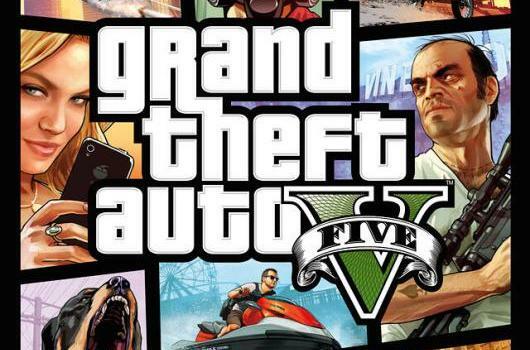 Grand Theft Auto 5 drives onto Xbox 360 and PlayStation 3 on September 17. We'll have the videos posted here as soon as we can. The Rockstar site currently has a waiting period of 55 minutes to even watch the clips. Update: Okay, here are all the videos in one place. Michael is above, Franklin and Trevor are after the break. Grand Theft Auto 5 trailer; no fancy headline needed originally appeared on Joystiq on Tue, 30 Apr 2013 11:00:00 EST. Please see our terms for use of feeds. Auteur game designer, Goichi "Suda51" Suda, is still hard at work on his upcoming project, Killer is Dead. From the moment it was announced, it was obvious that it would be every bit as bloody and bonkers as his last two assassin games, Killer7 and No More Heroes, were. But now, a Killer is Dead TV video has revealed Suda's decision to add "Gigolo Missions" into the mix. These feature the main character, the sword-wielding cyborg hitman Mondo Zappa, meeting up with women in a hotel bar and winning their hearts - finishing off by giving them a present. Should you fail, you're in for a slap. However, Mondo has a secret weapon to help him win fair lady's heart: the "Gigolo Glasses". These magic specs come in two varieties but the only one we know anything about is the black pair with a pink frame; which allow you to view your date in her undergarments. Blatant sexism or an ironically over-the-top statement about the objectification of women in games? This is Suda51 we're talking about - a man who partly examined the relationship between Japan and America through a game where a hitman with split personalities kills exploding zombie terrorists - so who really knows? It may not be clear how this pervy little mini-game is going to be worked into the main campaign but we do know for sure that the central plot is going to revolve around Mondo carving up the inhabitants of an underworld so seedy it's barely acknowledged. From Mondo's artificial arm and the robotic enemies seen in the trailers so far, it appears that transhuman cybernetic enhancements will also be tackled. This week's Xbox Live discounts include several downloadable games that should be in your library (if not already, for sure as a casual summer drought treat). Immediate highlights include brawler Scott Pilgrim vs. The World and Castlevania: Symphony of the Night for 320 MSP ($4) each. If you're looking for that early '90s feeling of waiting for a table at The Ground Round (National Coney Island, etc. ), there's The Simpsons Arcade Game and XMEN for 400 MSP ($5) apiece. Other goodies include Joe Danger 2: The Movie for 800 MSP ($10) and Pac-Man CE DX for 400 MSP ($5). Find the full list of deals after the break. 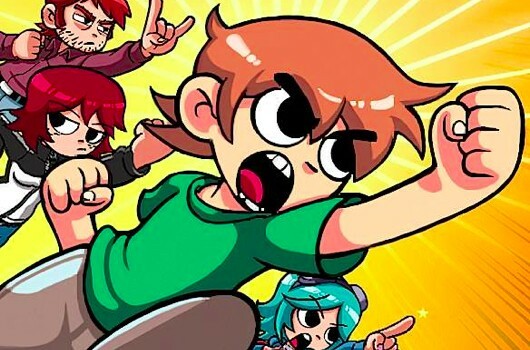 Xbox Live discounts this week on Scott Pilgrim, NFL Blitz, Symphony of the Night and more originally appeared on Joystiq on Tue, 30 Apr 2013 09:40:00 EST. Please see our terms for use of feeds.